Relearn what this festive holiday is all about- The Spirit of Christmas! Christmas is one time where we all come together to celebrate. For many, Christmas is their favourite day of the year, but it can come and go within a flash without you truly appreciating the day. Christmas can become overshadowed by presents, parties and sometimes stress, and a lot of the day is spent giving. Giving presents, your time and money. All these reasons can prevent us from truly experiencing the spirit of Christmas. Bring back your Christmas spark, discover how to appreciate the spirit of Christmas and relearn what this festive holiday is all about. When we grow into adults, we often forget or no longer feel the magic of Christmas. Whether it is due to changes or challenges in your life or the stress and pressure associated with December 25th, for many people the day can feel tainted with negative emotions. Now is the perfect time to recapture the spirit and views about Christmas like you once had. Whilst there is technically no proof that a brighter than average star appeared in Bethlehem in the sky for Jesus’ birth, it is possible that it seemed that way as a result of Saturn and Jupiter forming a conjunction at that time. 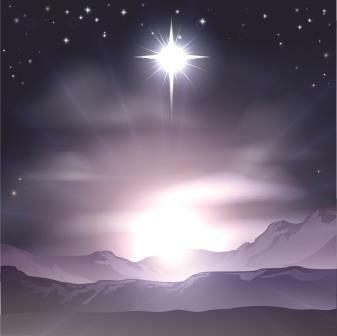 Whether it was real or not the Star has become representative of the light of the sun, and a nativity emblem that led the Magi to Jesus. Firstly, think of a Christmas that was filled with love, laughter and positive thoughts. Close your eyes and relive that special day. It could be a time during your childhood, or a more current occasion during adult life. If you have not had a Christmas that is ‘perfect’ in your eyes, use your imagination and picture what a faultless day looks like. Relive the past or your perfect scenario to help you recapture the spirit of this special day, while helping you change those negative emotions to positive experiences! Legend says that St. Boniface felled an oak in the 8th century, an oak was sacred to Thor, and as well as felling the tree, he was felling Paganism itself. But underneath the felling a fir tree grew, that was dedicated to Christ. From that point Fir Trees, Pine and Spruce were brought inside as a tree or as decorations. Christmas has become synonymous with bringing greenery inside and partly this is because it was thought the act protected the household, lending resilience at what was traditionally the harshest period of the year when life was at its most fragile and vulnerable. Hanging some sort of shimmering decoration was done purposefully to catch the light and to encourage sun back into the world. Many of these trees can actually grow from a single pine cone, heightening their association with life, potency and re-birth. For Greeks, Celts and Romans Mistletoe was considered magical. It is a semi parasitic evergreen plant growing on deciduous trees, but despite this it is thought it was added to the drinking water of cattle to ensure their fertility. Along the fertility lines Mistletoe and other evergreens were gathered into kissing bunches and hung in rooms to kiss under in places that people would frequently pass each other. A Yule Log is now most likely to appear in your house as a chocolate cake to eat, but originally it would have been an oak log/branch. The oak was chosen specifically for its ability to burn slowly over a long period of time. Before the log was totally burnt a small piece would have been removed, this was thought to bring good luck for the following year. The next year the small piece would be brought out and used as kindling for the new Yule Log fire. Today red candles are used in wooden Yule Log decorations and in the cake version to represent the flames of the fire. Even though Christmas should not be purely associated with presents, it is easy to get caught up in the commercial trap. You can end up spending a fortune for a short-lived happiness. This year, instead of going to the shop and buying a present, take time to make gifts that can be treasured and remembered throughout the years. A spiritual and sentimental gift has more meaning and value that anything you could buy in the store. This gift is something you have taken time to make and is given from the heart. Experiences make us who we are today. Even if you have gone through, or are going through a painful and challenging time, try to remember the good times this year has brought you. Starting a new tradition and creating new memories are things to embrace and not to shy away from. Your new tradition can be big or small. Find something that brings a smile to your face and something to look forward to every year! It can be going to the theatre, eating at your favourite restaurant or playing a board game… It is completely up to you! Embracing change can be extremely difficult, especially if you have lost somebody close to your heart. Saying you will have a perfect Christmas is easier said than done if you have questions playing on your mind. Psychic Light’s experienced and gifted Psychic Readers are available for you 24/7 throughout the festive period.